We make things simple. Get the money your business needs with flexible repayment options and no personal collateral required. 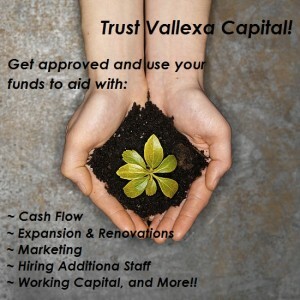 Vallexa Capital connects you with the funding partner that is best suited to the needs of your business. 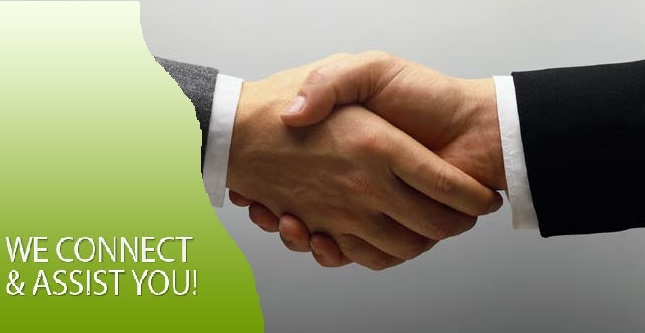 Work directly with your funding partner to complete the process. 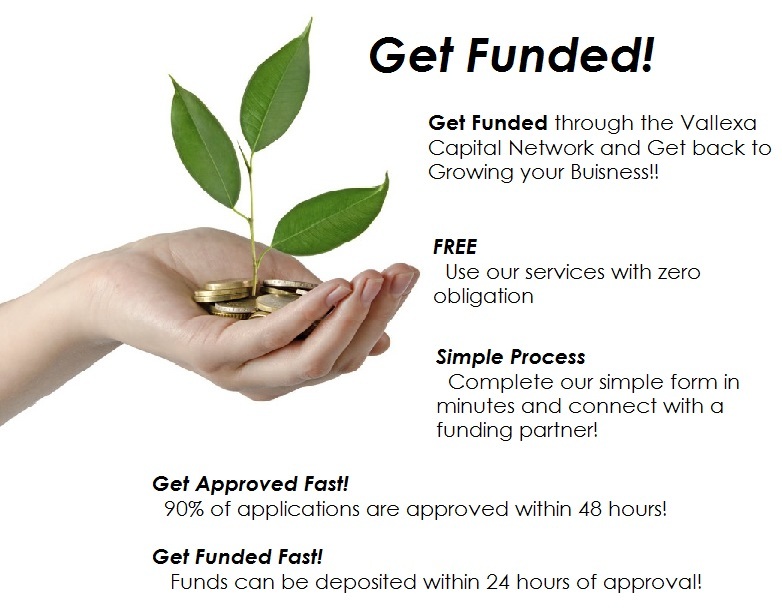 Funding can occur as fast as 24 hours after approval. Fill out our easy Pre-Approval Form and get pre-approved in Minutes! !